Denton and Reddish MP, Andrew Gwynne, has given his backing to the National Housing Federation (NHF) and their proposals to create a sustainable funding model on the day the Governments debates its proposed changes on supported housing benefit which include further cuts. At the Comprehensive Spending Review in November 2015, it was announced that the Local Housing Allowance (LHA) cap would apply to all new tenants living in social housing from April 2018. In September 2016 the Government revealed details of its proposal for the future funding of supported housing, extending the restriction to all tenants on Universal Credit and putting back the commencement date to April 2019. However, lack of security of funding within the new system is already impacting tenants and has led to housing associations reducing plans for new schemes. How local authorities will prioritise money between people and protect existing tenants. How funding can grow in line with future needs. How we ensure that services requiring a relatively small amount of additional funding, for example sheltered housing, aren’t caught up in costly administration. How we ensure that vulnerable tenants in areas where private sector rents are low are not disadvantaged by these changes and can still afford decent appropriate supported housing. Locally changes to housing costs are making a negative impact across our community. Work conducted through the NHF has shown the negative financial effects on people who live in Tameside in supported housing. Their case studies revealed the case of an 85 year old woman based in Denton who lives in supported accommodation and requires support as she lives alone; she stands to suffer a funding shortfall of £14.62. In Dukinfield the NHF also revealed the case of a young woman who requires support because of complex needs, which includes home visits. She stands to suffer a funding shortfall of £48.73 with proposed Government changes. 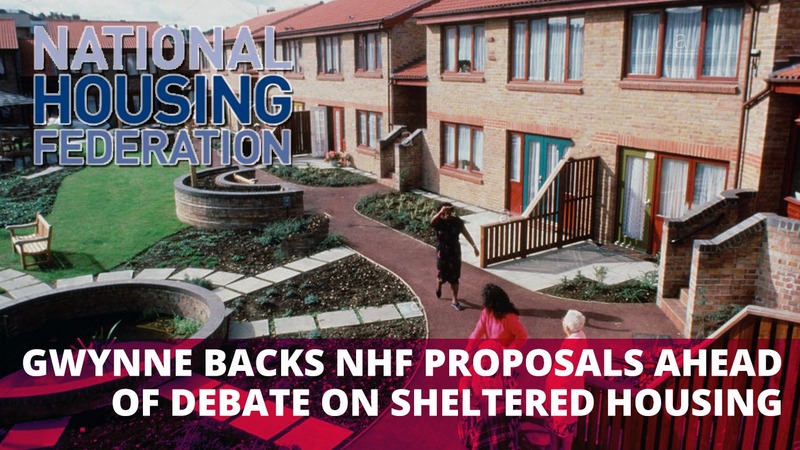 The NHF’s proposals include a supported housing allowance, set at a higher level than LHA; and that older people’s sheltered accommodation is removed entirely from the proposed policy changes. “Our communities are suffering under the strain of further changes to supported housing for the most vulnerable in our society. “Unless the Government changes course they risk closing thousands of supported housing schemes including homelessness hostels, sheltered housing, specialist accommodation for former members of the armed forces and refuges for victims of domestic violence.